www.chif.org – The Connecticut Housing Investment Fund specializes in financing home repairs such as replacing a roof, windows, or improvements to promote energy efficient homes. www.cngcorp.com – The Connecticut Natural Gas Company has been expanding the gas distribution through out the State. Expansion of gas mains has continued along with reduced emissions. http://www.energizect.com/residents/programs#results – This link will bring the user to view all of the programs including a rebate for ductless split a/c system. New programs are introduced and older ones phased out over time as funds are used up and program success are evaluated. http://www.energizect.com/residents/programs/energizect-heating-loan-program This link will navigate to a page explaining a loan program for replacing inefficient heating equipment with high efficiency heating equipment. www.solarconnecticut.org – This non-profit organization works with the industry and government to promote the solar industry. Qualified solar contractors can be found on their web site. 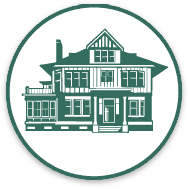 http://ctgreenbank.com – Connecticut Green Bank (formerly the Clean Energy Finance and Investment Authority). As the nation’s first full-scale Green Bank, they leverage public and private funds to drive investment and scale up clean energy deployment across the state. They offer incentives and innovative low-cost financing to encourage homeowners, companies, municipalities, and other institutions to support renewable energy and energy efficiency. www.dsireusa.org – This link provides programs promoting energy efficient or green technology and equipment installations. The programs are funded or over sighted by the federal and states governments.